Trevor A. Hunter is an Associate in the firm’s Williston office. 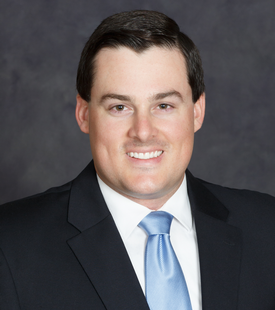 His practice focuses on commercial transactions and litigation. Trevor grew up in Kalispell, Montana and attended the University of Montana for his undergraduate education. During his final year he served as president of the Associated Students of the University of Montana (ASUM) and as president of the Montana Associated Students, a statewide organization. Trevor graduated with Bachelors of Arts in History and in Political Science from the Davidson Honors College at the University of Montana with University Scholar distinction. Trevor received his Juris Doctorate from Southwestern Law School in Los Angeles, California. While in law school, Trevor was an associate editor for the Southwestern Journal of International Law and spent two years as part of the Trial Advocacy Honors Program, competing at the National Civil Trial Competition. Trevor was an extern for the Honorable Craig Richman, a Los Angeles Superior Court Judge, and clerked for a Los Angeles civil litigation and trial law firm prior to graduation. Trevor and his wife, a Sidney, Montana native, enjoy all that the North Dakota and Montana outdoors have to offer including hiking, skiing, and fishing.